Style hasn’t always been as democratic as it is today. Have thicker legs but still crave a slim jean? 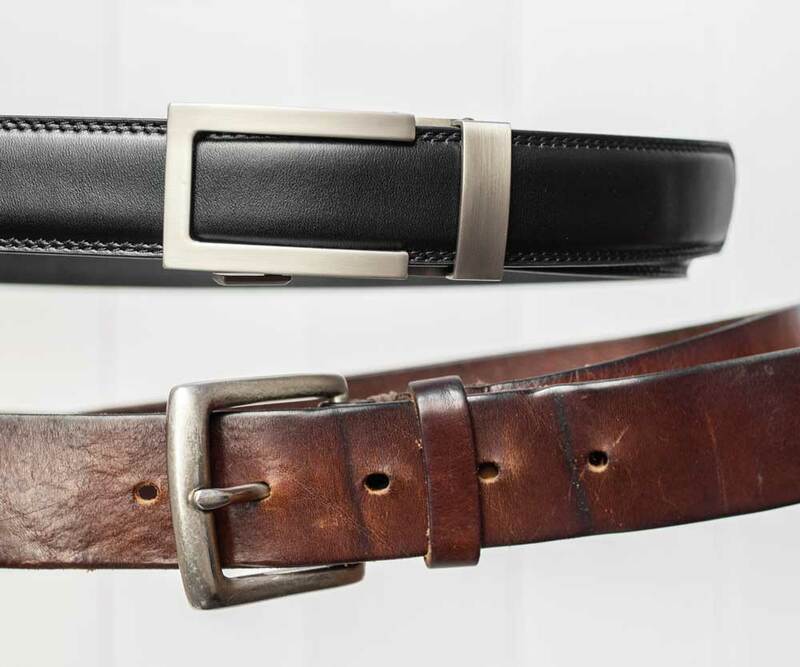 Does your weight fluctuate and you’re tired of searching for the right belt? Work in a hot climate and you’re sick of arriving to work in the morning drenched in sweat? If this were ten years ago, you’d be S.O.L. In the past, guys with different needs and body types were often shut out of quality, affordable style. Big labels sold to large chains in 5 standard sizes and an entire generations of guys – including many of our dads – went without options or innovation. Industrial complacency encouraged by the limitations of the pre-internet sales structure was the norm, and consumers paid the price. Nowadays, we’re in the middle of a radical democratization of style, aided by the internet, new technology and streamlined production processes. Many of today’s designers and companies are evolving classic style items so men of all shapes and sizes – with any kind of bank account – can achieve their look for less. We’ve rounded up five of the most noteworthy brands, technologies, and products that are bringing flexible, affordable style to any guy, regardless if he’s tall, short, narrow, or wide. Whatever makes you unique – dressing great has never been easier. Belts are tricky, especially if your weight tends to fluctuate. Lose too much and your belt wraps around so far that your waistband begins to bunch. Gain some weight and suddenly it needs to cling on to the buckle for dear life, stretching the belt out of shape. 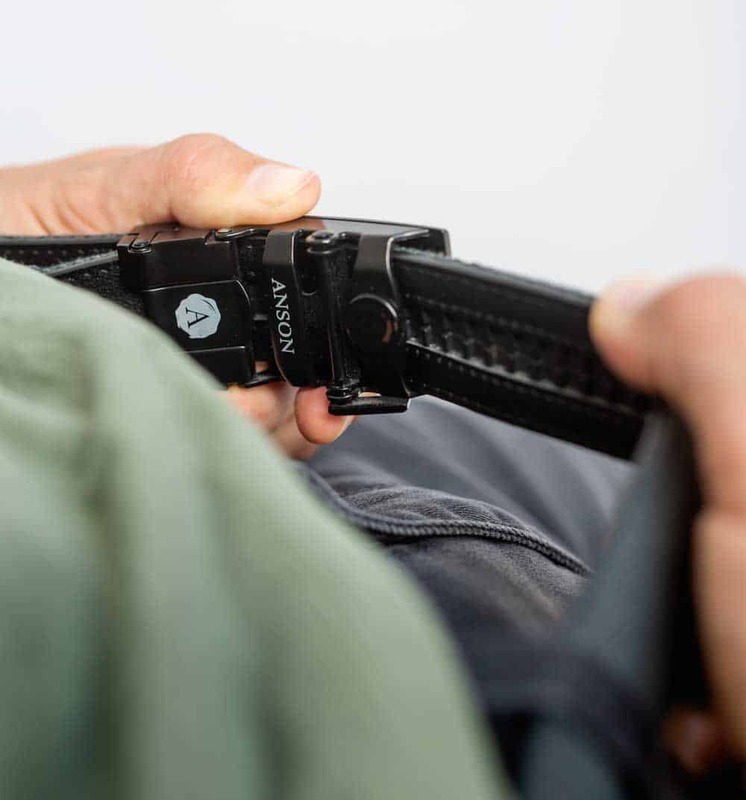 Anson belts provide the ultimate service to a man’s ever-changing waistline: a product that adapts to you and what you’re wearing. Traditional belts offer 5 holes spaced approximately 1” apart. If your weight fluctuates out of that range, then you’re stuck. Or, a common day-to-day problem even among those whose weight doesn’t fluctuate: Pants made of different materials with different thicknesses (wool vs linen, for example) require a belt to be tighter or looser to be comfortable. It’s crazy to think that shoe laces – rope essentially – can perfectly fit a shoe to different shaped feet or accomodate thick or thin socks better than the device we use to hold our pants up. Anson’s products always fit perfectly thanks to more than 30 size options spaced one quarter inch apart along the microadjustable belt. It enables you to have the perfect fit at any time, whether your waist is 16” or 50”, or you’re wearing dress pants or thick selvedge denim. Almost as important as the technology is Anson’s competitive price. You can get any belt and buckle combo for less than $50 or opt for the box set, giving you six possible belt combinations. Conventional belts with comparable full grain leather retail for about the same price point but offer none of the flexibility. 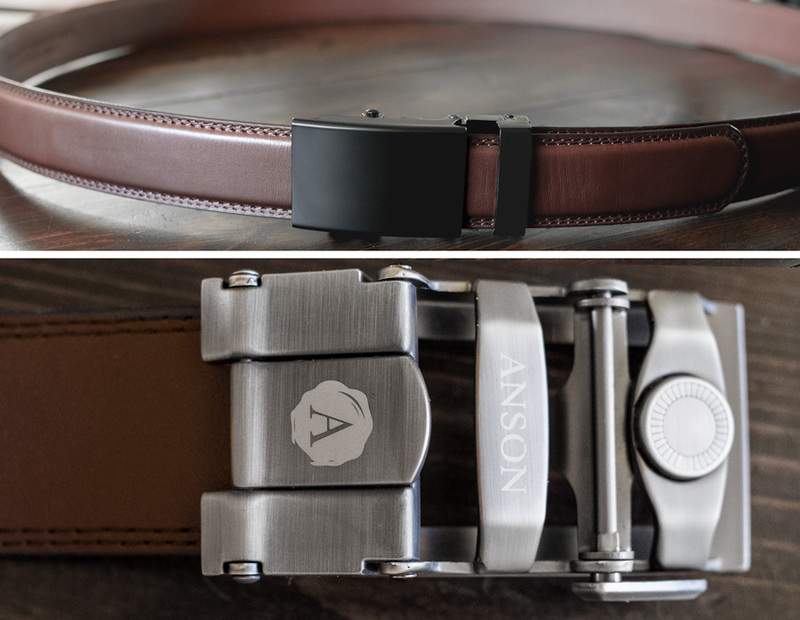 Using the Anson system, you gain unlimited versatility when mixing and matching belt colors and buckle styles. It’s a no brainer when looking for style, comfort and support where you need it most. No one wants to have to get every piece of clothing they buy tailored. It can get pricey and, frankly, who has the time to keep running back and forth to your tailor? For some things you just want to pull something off the rack and have it fit just right. Today, you’d be hard pressed to find a company that doesn’t cater to that exact need. There are 3 variables that go into how a man’s pants fit. Waist size for how wide his hips are, inseam for how long his legs are, and fit – which has to accommodate all of the different shapes men’s legs have. Short and thick. Tall and thin. Thick on top but narrow on the bottom. It wasn’t that long ago that there were basically two to three styles of pants for men. They would range from your typical straight fit to a relaxed fit, and then the very tight skinny. But what if you were a man with muscular legs, but desired a slim fit with a tapered leg without feeling like you’re wearing spandex? Some great brands have perfected the wide array of pant options necessary for the different body types of men. 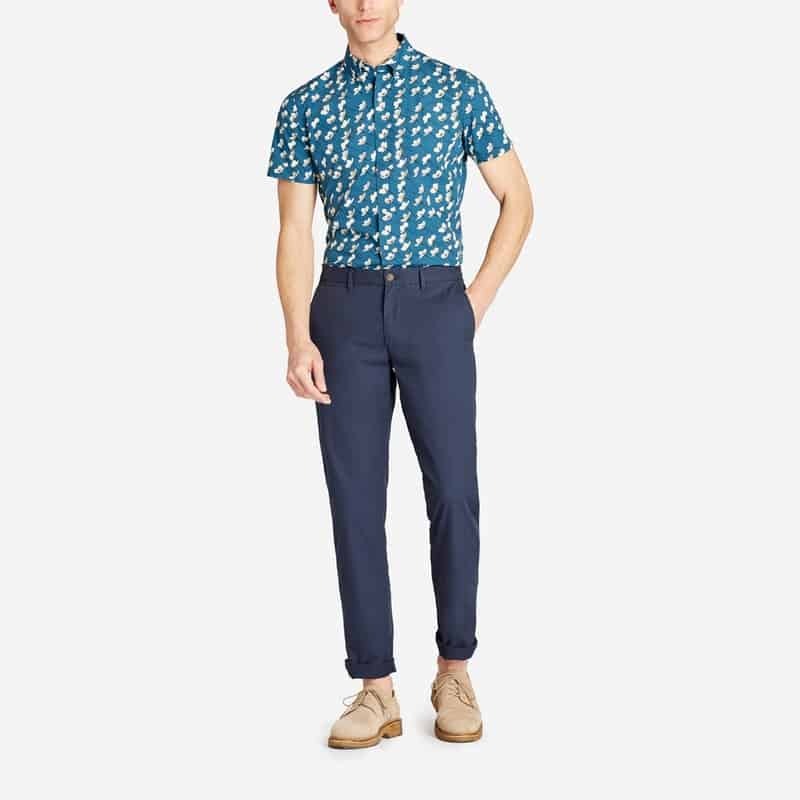 Bonobos, for instance, offers five different styles of chinos (tailored, slim, athletic, straight, and relaxed), all with subtle differences so that you can always get the perfect-fitting chino or dress pant no matter your body shape. Levi’s, America’s foremost authority in denim, now offers a seemingly infinite amount of cuts and styles of jeans. 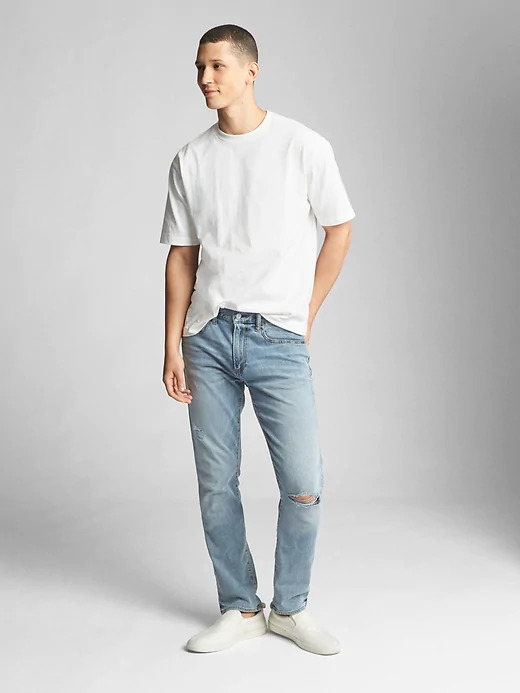 There are currently 19 different style numbers for men’s denim, ranging from the iconic 501 original fit, to the 510 skinny fit, all the way to a 569 loose stretch. Each number has variations within the style to reflect man’s evolving denim needs, whether it be a more tapered leg or an infusion of stretch material. 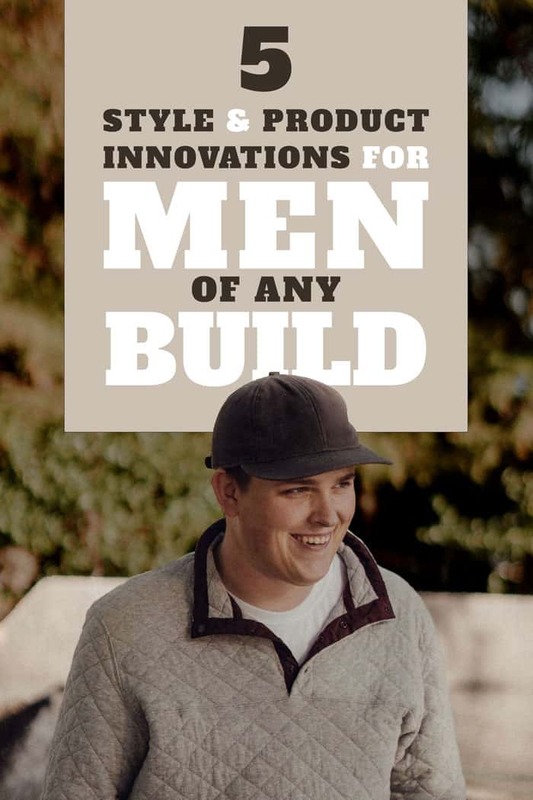 Not only do they do a great job of catering to men of all sizes, but their own individual style preferences are taken into consideration as well. While Levi’s may be at the denim forefront, nearly every brand you pass in your local mall has more variation now than ever. Specifically when shopping for jeans, you can increasingly find any wash, style, or level of distress with added stretch anywhere you turn. There’s no reason for having to settle for pants that don’t fit or aren’t comfortable, no matter your price point. Any man, regardless of body type, has a hard time fighting the harsh summer heat. If you’re in a big city and always on the move, or work down south in scorching temperatures, you know that it’s almost impossible to get through the summer unscathed. If you’re a bigger guy and tend to struggle with sweat in the heat, or, like all of us, you’re just self conscious about your appearance when the elements aren’t cooperating, these products can go a long way towards restoring your confidence and helping you stay cool during the dog days of summer. So many companies are venturing into the world of technologically advanced fabrics. Gap’s Wearlight line is engineered to have a lighter feel so it feels cool all year around. Bonobos’s Tech shirts have moisture-wicking technology, are quick-drying, wrinkle-resistant and full of comfortable stretch. Uniqlo’s Kando jacket is made with fast-drying DRY technology, and is lined with Airdots fabric with anti-microbial and anti-odor functionality. 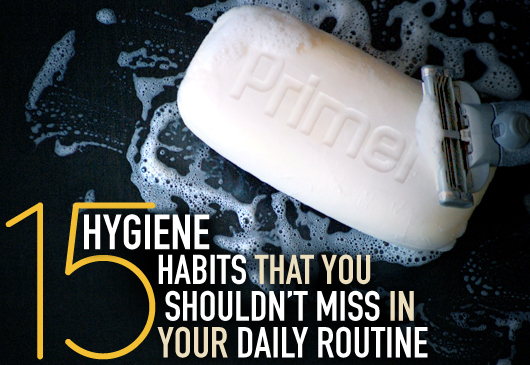 These products can be your best friend during that long summer commute. An antimicrobial dress shirt may not be a cure-all against a scorching summer, but the advancement in moisture-wicking and sweat-prevention technology arms menswear enthusiasts who struggle with perspiration maintenance with an entire line of products which allow you to feel confident against the toughest temperatures. Have no fear when facing the heat thanks to these innovative products. Most people talk themselves out of certain styles because of their body type. It’s understandable. Everyone should feel confident and comfortable in his or her clothes. But just because your legs are muscular or if you’ve gained a little weight over the last few summer barbecues, that doesn’t mean you should have to wear a loose silhouette. Between the aforementioned pant selection and the emergence of stretch material, guys of all shapes can find the perfect pants (and tops) they may have been hesitant to purchase in the past. Most menswear enthusiasts know about stretch material in their jeans, but a lot of brands are incorporating stretch material into different pants, shirts, athletic wear, and even things like denim jackets. Stretch or flex material gives you added comfort and breathability when you want to wear a slimmer look without the constraints of stiff fabrics. Stretch varies by brand and style. Levi’s produces an Advanced Stretch version of its 511 Slim Fit style, which is composed of 94% cotton, 4% polyester and 2% Elastane. American Eagle’s 360 Extreme Flex denim is 87% cotton with the other 13% comprised of stretch materials. Even Bonobos has added 3% stretch material to its Weekday Warrior dress pants, giving your go-to work pants some added flexibility. A trim look is based on getting clothes that fit. Take advantage of the plethora of options listed above and fine-tune the details. If there’s a hot item out there–whether it be a sweater or a sneaker–it’s going to sell fast. If you fall on either extreme of the sizing spectrum, you’re immediately at a disadvantage, as companies tend to make far fewer items in those sizes compared to your standard mediums and larges. As recently as five years ago, if you wanted a piece of clothing that either passed you by or sold out instantly, your only chance was to snag it on eBay or Craigslist. And while they still are good places to search for specific pieces, there are services out there that have made the entire process much easier. 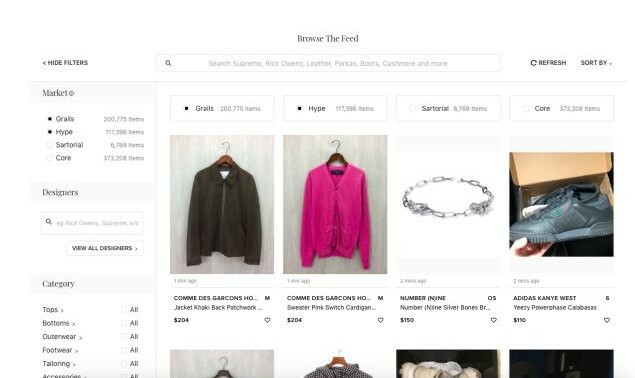 Places like Grailed provide a forum for all types of menswear to be bought and sold, from a simple Ralph Lauren golf shirt, to a vintage blazer. Anything from your most basic day-to-day wardrobe staples to your highly sought after pieces are available at all times. Places like GOAT and StockX are great for sneakers if you missed out on last week’s drop. A lot of your favorite brands are accessible on Amazon, so you know you can always grab them for a reasonable price, and if they’re Prime eligible, they’ll be at your doorstep in just two days, with free returns. A must have for the guy who has a hard time finding clothes that fit his shape. All of these new companies have user-friendly apps, easy purchasing abilities, customized notifications, and create communities for like-minded menswear fans. Even if you wear a standard Large shirt or a size 10 shoe, you’re not necessarily out of the woods. Just because more product is being made in your size, you’re also competing with a larger group on these secondary markets. But giving consumers multiple outlets and opportunities to purchase the product they want is always a good thing, especially if you wear a size that’s difficult to grab on the first try. Do you have a favorite menswear innovation that helps guys of different shapes? Share it below! The emergence of tech fabrics in menswear is something that continues to amaze me. Coupelung that with strep and tech denim and chinos, shoutout to the great work that Bannana Republic is doing, and you’re finding that menswear is in a really great place for men of all shapes and sizes. Yup, would love to get one of those Anson belts down the line because as it is, traditional belts are no bueno. Personally, I like buying my pants a size down so that I can stretch them out and break them in. Easier when you’re getting the stretchy stuff rather than the 100% cotton, that’s for sure. I LOVE my SlideBelt! Very similar to the Anson belts and I would definitely recommend to anyone to jump on any of these amazing belts! They’ve come in very hand for me since I’ve been on a massive health kick and lost some decent poundage. You can cut the belts short if you end up having to much slack. Also, Uniqlo’s jacket is pretty F’n sweet!!!! Absolutely fantastic write-up! I have always struggled with this problem and I’m noticing change. I still have the impulse to buy ten of everything I like in all the “good colors” whenever I find a gem precisely because of these issues. I’m also wearing an Anson belt and Proper Cloth shirt right now! Stretch allows me to go from straight to slim, otherwise it’s to constricting. was great article about men’s wear, enhanced enough knowledge. I am also a seller of men’s outfits. If you want custom made leather jackets then visit us. Hey Ish, definitely not the only innovations! Keep the list going in the comments if you have ones you like.